With Easter just around the corner, we figure it’s as good an excuse as any to crack into the chocolate a little early and whip up these delicious desserts. Remember the key is in the quality of the chocolate. Test out these tastebud tempters, adapted from Lindt’s fantastic recipe catalogue. Take a browse of their online database — and check out their yummy range of products while you’re at it! Break up the chocolate and gently melt over a bain marie. Set aside. Beat the egg yolks and 1/3 of the sugar together until the mixture is pale in colour. Add a little melted chocolate to the yolks to warm them slightly, then add the rest of the chocolate. In a separate bowl, whip the cream until the mixture has thickened slightly and ribbons of cream fall from a spoon. Whisk the cream into the chocolate mixture until smooth. In yet another bowl, beat the egg whites well, then add the remaining sugar and salt. Gently fold this mixture into the chocolate mixture. 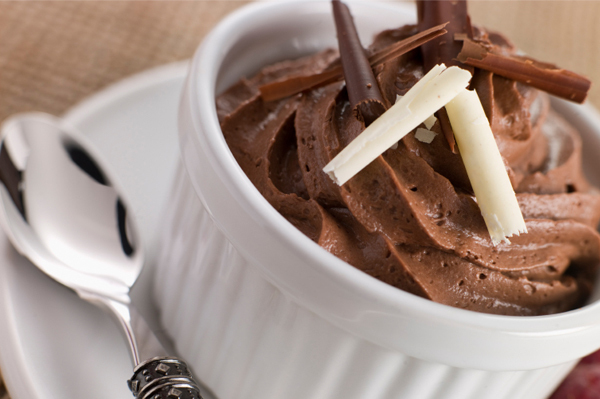 Melt the chocolate and butter by mixing in a bowl and sitting over a saucepan of lightly simmering water. (Don’t let the bottom of the bowl touch the water or it might burn the chocolate.) Stir a few times until melted, then set aside to cool. In a bowl, whisk the egg yolks and sugar until the mixture is light and pale. Beat the egg whites until they form soft peaks. Add the cream of tartar and beat until stiff. Gently mix the cooled chocolate into the egg yolks and sugar mixture. Sift in the flour and baking powder, then fold into the chocolate. Fold in the egg whites. Pop a few cupcake papers into a muffin tray and pour in the cupcake batter. Meanwhile, to make the icing, beat the butter until light and fluffy. Mix the cocoa with the milk to form a smooth paste, then add to the butter and beat until smooth. Ice the cooled cupcakes and enjoy!